Solihull Libraries, Arts and Information Service is working in partnership with Solar, the children and young people’s service provided by Birmingham and Solihull Mental Health NHS Foundation Trust (BSMHFT), Barnardo’s and Autism West Midlands, to build a collection of specialist books, stories and resources to support the mental health and wellbeing of children in Solihull. The collection is based in Chelmsley Wood Library on open access, with the resources available for reservation across the Solihull Libraries network. To support this, a new membership category has been created for foster carers so that they are not subject to reservation or overdue charges. There are approximately 140 titles in the collection, which includes books and resources that offer understanding, advice and support appropriate for all children and families. However, careful thought has gone into choosing resources that are sensitive and relevant to the particular experiences and needs of looked after and adopted children, their carers and parents. BSMHFT are providing strong support through one of their Clinical Psychologists and two of the borough’s foster parents. 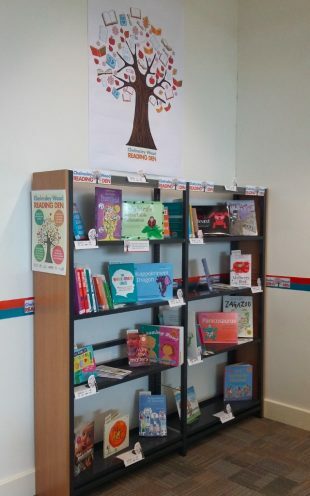 Through this partnership, BSMHFT and Solihull Libraries are working to develop the Reading Den space for network meetings, training and as a community hub for the foster families in the borough. At the launch event in May, John Short (the chief executive of BSMHFT) described how the idea for the Reading Den came from a ‘dragons den’ initiative BSMHFT run where staff can put forward ideas for service improvements, innovations and new ideas. In this case, a foster parent and clinician wanted to pull together resources for foster carers, adoptive parents and children about growing up in this situation. John Short approached Nick Page (the chief executive of Solihull Metropolitan Borough Council) with the idea - who saw the library as the perfect space to have the books and make the collection more accessible. A complete annotated booklist of the collection is available on the Reading Den webpage. The Reading Den collection is not exhaustive and it is hoped that it will grow over time; recommendations for additional titles are welcomed and can be sent to bsmhft.readingden@nhs.net. For any further information, please contact Steve Palmer, Children’s, young people and learning librarian.